Use our house own parking service! 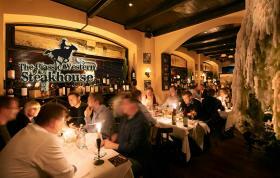 The Classic Western Steakhouse has played a leading role in Düsseldorf's gastronomic culture since 2008. 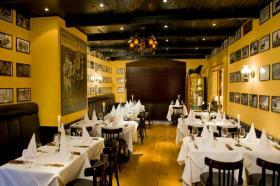 Passion for uncompromising meat quality, harmonious ambience and excellent service distinguish us! 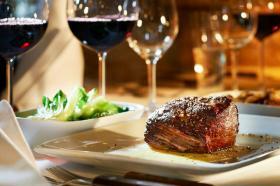 We simply have a penchant for premium beef and the best of the oceans. Enjoy the great atmosphere and delve into the tradition of the famous Frankfurter model with internatinal standards. Our first class service and the pleasant ambience offer the perfect location for a successful business dinner or just a nice get together with friends. We have a wide selection of Steaks from first class US beef and many other delicacies from the traditional American cuisine. Our sommelier offers a great selection of exquisite wines from wineyards all over the world. For smokers we have a separate room for up to 40 people, which can also be booked for private events. A table reservation or the booking of a menu/ offer is in the "The Classic Western Steakhouse" via GlobalGuest always for free you as a guest!